None of the above, or NOTA, is a facility made available since September 2013 to voters in India as an instrument to express their displeasure or dissent with the choice of candidates contesting in a poll—effectively none of the above is a vote against all. In the 2014 Lok Sabha elections, more than 60.02 lakh voters pressed the NOTA button—that translates into 3.49 per cent of the total votes polled by the BJP, or 5.61 per cent of the votes polled by the Congress. Nilgiris topped the chart with 46,559 votes—that is 4.98 per cent of the votes polled—for ‘none of the above’. In second place was Tura in Meghalaya, whose voters cast 4.18 per cent of the votes for NOTA in a poll contested by Purno A Sangma, former Lok Sabha Speaker and the grand priest of political propriety in the 1990s. NOTA has also registered its presence strongly in Assembly polls— in the 2018 polls for Madhya Pradesh, NOTA outperformed parties and outscored the margin of victory in 22 constituencies. As India votes for the next Lok Sabha, it is time to ask if the expression of dissent has found acknowledgement or a corrective response from the political parties. A review of nominations filed by candidates for the 2019 Lok Sabha polls shows that voters’ angst has largely been bypassed. In 2014, voters of Mumbai South Central were asked to choose from 21 candidates—over 9,500 voters chose the 22nd candidate, NOTA. Both the winner and the loser are in the fray in 2019. Whether it is Mumbai, Nilgiris, Dahod, Singhbhum or elsewhere, NOTA doesn’t yet seem to be a factor in the poll analytics of parties. Like Getafix, the druid and friend of Asterix, parties blend a host of factors ranging from caste to creed, pedigree to popularity, to concoct the potion of winnability. Issues like criminal antecedents don’t quite matter. 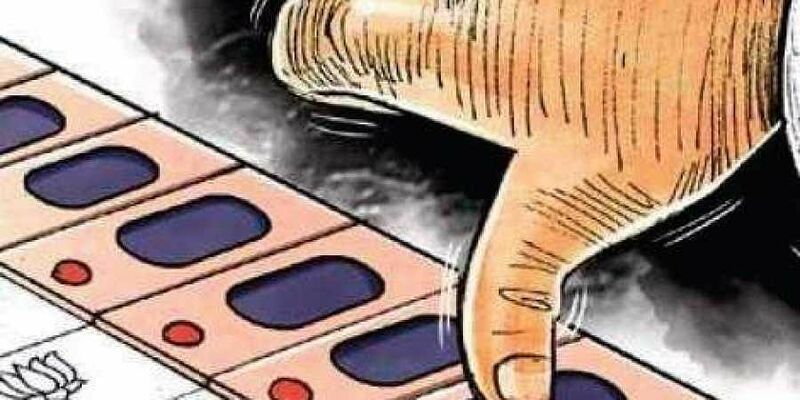 Analysis by Association for Democratic Reforms shows that in Phase I of the polls, of the 1,266 candidates contesting for 91 Lok Sabha seats, 213 candidates face criminal cases—146 face serious criminal charges, 12 have convictions, 10 have murder cases, 25 have attempt to murder cases, and 16 face charges of crimes against women. It gets worse at the level of candidates for Assembly polls—in Andhra Pradesh, of 2,007 candidates, as many as 331 candidates face criminal charges, of which 220 face serious criminal charges. Piety is never enough, not in political processes—often the bridge which carries intent to outcome is not yet built. It is true that the political parties have shown scant regard for NOTA scores. Equally, NOTA votes haven’t yet acquired the necessary critical mass to disrupt the status quo. Conceptually, NOTA in its current form lacks the heft necessary to make voters consider it as an effective instrument against the quality of candidates and politics. As it stands, NOTA at best allows expression of angst. In terms of outcomes, like it or not, voting for NOTA is akin to kicking the sand into the breeze. To make NOTA nudge political parties it is necessary to empower NOTA so that voters can force political parties to atone and mend their ways. The issue pops up in public discourse in fits and starts. This clearly will not be enough. The repair of the design and delivery of the spirit behind NOTA needs concerted dialogue and plan. There have been some initiatives. The State Election Commission in Maharashtra, for instance, has mooted re-elections in local government polls if the winning candidate bags fewer votes than NOTA. A wider and deeper approach would be to push for re-election if the margin of victory is lower than the votes cast for NOTA. The restructuring of NOTA requires looking beyond the obvious—and collaterals from electoral outcomes. The crux of NOTA is to persuade, if not force, political parties to improve the quality of candidates and politics. For instance, the need to bar those with criminal cases from polls lies stalled in the warrens of politics. One way to penalise and discourage nomination of candidates facing criminal cases—at least heinous ones such as murder, kidnapping and crimes against women—could very well be to allocate a percentage of votes polled by the candidate to NOTA. There has been much grief and lather about the plummeting quality of political rhetoric in the ongoing poll campaign—ranging from explicit abuse to implicit bigotry. The fact is that there is no deterrence—beyond the routine of a show cause notice issued by the Election Commission of India. Why not a penal system where every time candidates cross the boundary of decent conduct, a portion of their votes is transferred to NOTA as an instrument of deterrence—the allocation of votes could be arrived at as a percentage of the winning margin of the poll in the previous poll. Think cricket. If M S Dhoni can be fined for bad behaviour, why not politicians! There are and will be other ideas. Enforcement of the ideas would require legislation, drafting of regulations and oversight. All of this may seem arduous, but is not implausible. The Election Commission was just another institution wracked by pusillanimity till T N Seshan, appointed as CEC by Chandra Shekhar, deployed the letter and spirit of the book to crack down on political perversity.